No, I don’t have stomach flu. It’s just Peter Gabriel in my head. I believe the internet issue in here is solved (knock on wood, lots). If it’s the computer, we told it to shut up and gave it ethernet. It seems pleased. I want my rain dammit. You promised rain last night from this crazy little ex-hurricane we have streaming past us to the east, but no. No rain. I’m sad. I miss rain. I don’t miss it enough to move back to where it rained 300 days out of the 310 I was there, but I do miss it a bit. My plants miss it more. Didn’t we say October would be less tired than September? We lied. At least so far. When you think you have enough of the right thread to quilt all the background, you will be wrong…not because you read the numbers wrong, but for some completely stupid reason, you have 40 weight AND 60 weight, and you can tell the difference when you quilt with them. Hopefully I can find the same thread after school (and 2-hour curriculum meeting), so I can actually finish the quilting tonight. I think that’s all the list I have in me. I should go find some pictures. Words are better with pictures. Well, is that true? I have to say that I almost always prefer the pictures in my head over what people do in movies or TV shows. 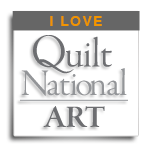 Then again, when talking about my quilts, people say the pictures don’t do them justice…they like them in person. Me too, actually. Anyway, long day again. I gave a test and screwed something up in 2nd period (it was online), but fixed it by 4th period, so 4 classes are fine and manageable and one is gonna give me hives. OK. At least I know ahead of time. Then I had a failing filling…so they fixed that. Ugh. At the end of the day. It was pretty trouble-free, but tiring. And then I did the fussy little bits of test grading, the stuff the computer won’t do for us…but I only got about a third of the way through before I gave up. I think that was 9:30 or so. I really wanted to finish quilting last night. I probably wouldn’t have finished, even if I’d had the right thread. I got about 3/4 of the way around…maybe a little less than that…on the partial spool I had, and then I picked up the other one I had pulled and figured out why it hadn’t been in the same section of the box. I almost always quilt with 40-weight rayon, and I had obviously accidentally bought one spool of 60-weight…which would have been fine if I’d started with it and used it for the whole quilt. You might ask if one can really tell the difference. Yeah. I quilted a little bit and went, NOPE. Not gonna work. I guess the plus is that I finished all the outlining…that was the darker blue thread. Even with Calli lying right on the chair legs so I couldn’t move much. The animals rule this house. We let the old lady do mostly what she wants, except not eat papers if possible. And then partway up the left side, past the cat. And then ran out. I’ll try JoAnns after the curriculum meeting. I will have no brain power left, so I will have to be very careful about NOT picking another spool of 60-weight in my evening post-school exhaustion. And Katie guarding Satchemo. Mostly Katie has been chill this time visiting…not as much cat chasing and harassing as normal. Probably she’s wondering if her parents will ever come back…and maybe she doesn’t care, because she gets lots of pets here. Satchemo is just trying to decide with remote to use. So remember when I wove my strip for the Women’s Voices project? There it is, sewn into the project…third strip from the left. All blues and purples with a thread explosion in the middle. Nice. OK, so I’m buying thread, coming home, and (realistically) collapsing for a while on the couch, preferably with a book. This is reality, folks. I know how tiring my job is. I also know it’s not just me. We’re all tired. Then at some point, I will find the energy to make dinner. Hopefully (sometimes I don’t…I just do cheese and crackers and a glass of milk. Done!). Then also extremely hopefully, I will finish quilting, so I can buy binding on Friday after school. That’s my plan anyway. I think it will take me about 30-45 minutes to finish quilting, if that. I can do that. Can’t I? Morning self (which is really tired) is predicting what evening self (which will be even more tired) will be able to do. This is how I get myself to do anything honestly. Including grading. But first, yet another morning meeting. Whoo! Oh my, the internet is so blessedly fast in here. I am very happy about that. I can even play music while I write again. Yay!